A pink version of the bright and cheerful bag for carrying everything you need to the court! Racket compartment. Large side pocket for accessories. A single padded and adjustable shoulder strap make the bag easy to carry even when at capacity. 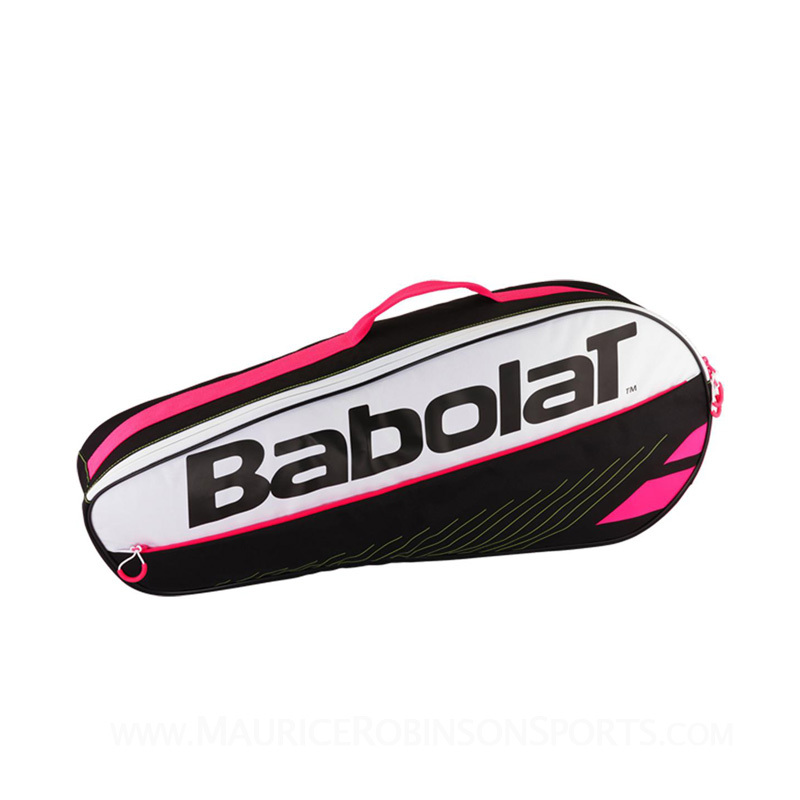 Do you own the Babolat Essential Black-Pink Club 3 Racket Bag?